Pricing Includes :	a one color silk-screened imprint on one side. If imprint location is not specified, orders will be set up with imprint on the front. Setup Charge :	Add $50.00 (G) for new orders. No initial Setup Charge on exact reorders. 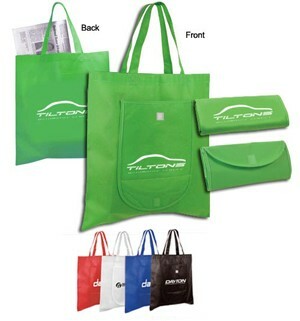 Imprint Area :	Front: 5" W x 2-1/2" H Back: 10" W x 10" H. Due to material, detailed logos and fine type are not recommended. Screen/Halftones are not recommended. Highest frequency possible is 28 lpi. Multi-location Imprint :	Add $ 50.00(G) set-up, plus $.35(G) running charge per item, on new orders and reorders. Shipping Weight :	Approx. 15 lbs per 100 pcs. Packaging :	Bulk Packed. Shipped unfolded.